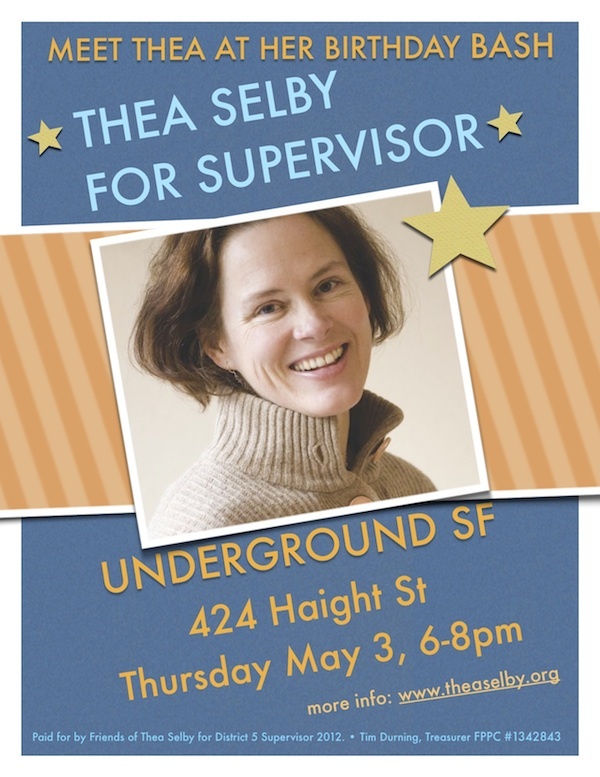 Join us as we celebrate Thea's birthday at Underground SF! Cash bar: $2-3 well drinks, DJ, and food from Memphis Minnies (BBQ!) and Two Jacks (peach cobbler!). To RSVP and purchase tickets, or become a sponsor click here. Please save the date, and invite your friends and neighbors. THANK YOU for supporting a first-time candidate with a vision of a safe and thriving District 5 and a strong voice for our neighborhoods at City Hall!! For more information: email thea@theaselby.org, or go to the Contact page.